For the second time in about a year, a team of climbers say that they have discovered footprints of yeti, the “abominable snowman” that mountaineers and sheep herders believe roam the Himalayas. Last fall, it was an American television crew (for the SciFi Channel) that claimed to find evidence. This week, it was a Japanese team led by Yoshiteru Takahashi. Takahashi and his seven-member team spent 42 days on Dhaulagiri IV, where, at 4600 meters, Takahashi says he found footprints made by yeti. 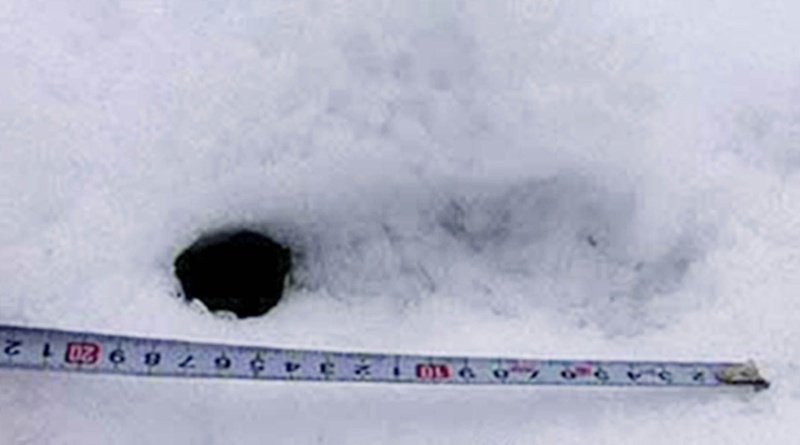 This was the third attempt by Takahashi to find yeti evidence. The team had nine motion-sensitive cameras in position where Takahashi believed he had spotted a yeti in 2003. Takahashi was staying at a hotel in the Thamel district of Kathmandu (not, alas, the Yak & Yeti), where he was surrounded by a throng of local and international journalists. When he showed me the photographs he had taken of what he said was a yeti footprint, he insisted the yeti was real. He said he saw the footprint on September 27. There’s no scientific evidence that yeti exist. But the continual stream of foreigners who come to the Himalayas in search of “proof” are real–to the bemusement of most Nepalis. predicted to disappear by 2030 if this warming rate is maintained (according to the Intergovernmental Panel on Climate Change), if there is a yeti, we may see him yet. We’ll melt him out.